Save yourself some money by taking advantage of our last sale before Thanksgiving! 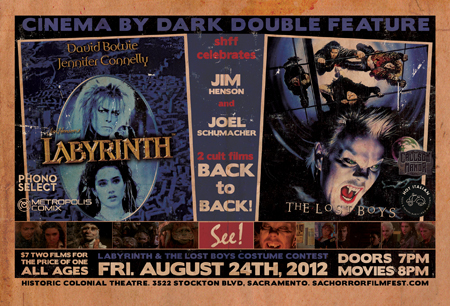 Plus, join Empire's Movie Crew to see Labyrinth (Bowie!) and learn about other news from your fave comic shop! August 18th Sale -- Last One Before Thanksgiving! Time: Doors open at 7:00 p.m., Movie starts at 8 p.m. Location: The Colonial Theatre, 3522 Stockton Blvd. Join us and you'll receive a FREE Spider-Man shirt! Get Your Tickets Before It Sells Out. This film fest is brought to you by the Sacramento Horror Film Festival. Send us a picture of yourself reading a comic in public on August 28 for a chance to win a free in-store reading session in our new in-store reading program. Email us a link or post the link or picture on our Facebook Page for your chance to win. We'll select 3 winners based on our judgment of originality, most interesting and/or funniest from all entries received by Midnight on 8/28. Winners will be notified on August 29 via Facebook and/or email (if you sent us the link vie email). By entering, you agree to allow us to use your photo all over the place, online or in our shop. Watch for complete rules on our website at empirescomicsvault.blogspot.com. Later, we'll talk about your experience with Read A Comic in Public Day on a future episode of our podcast, Empire's Open Podcast. We know times are tough. We know you'd like to own every new book that comes out, but that's darn right impossible unless you're rich like Nick Cage (oh, wait, he sold his collection). So, what do you do if you want to see what's new out there in comic book land? What do you do if you're curious about a title but don't want to risk buyin it? Then read with Rolly! 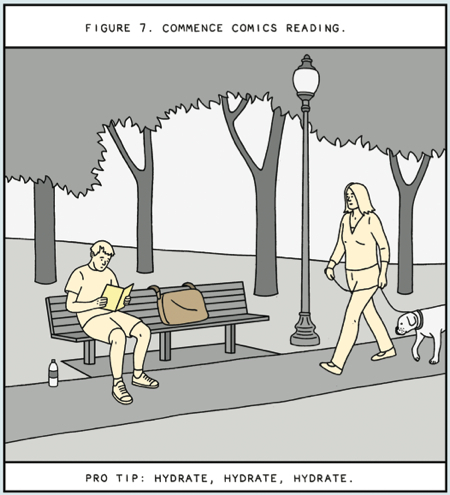 For $7, sit down and read some comics in the store. Seven days after new books come out, we'll pick at least ten of them to add to Rolly's in-store reading program. Your reading session is good until you leave the shop. Then, next time, if you want to read more of Rolly's books, it's just $7. You never need to fill out any paperwork or sign up for anything. Also, if you have any graphic novels or trades you want to trade in for credit in the program, just bring them to Ben and if they're books he can use, he'll make you an offer (good only for reading program). With ECV Press back up and running we have revamed our website and Monday through Friday you can see a new webcomic set within The Continuum Universe. Come on over and check out previews of all ourbooks and read through the library of past webcomics.